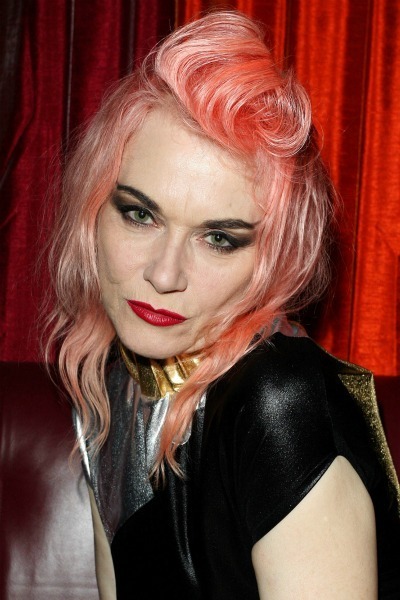 …Scots-born musician and designer Pam Hogg has dressed the queens of rock and pop as often as she has appeared amongst them. 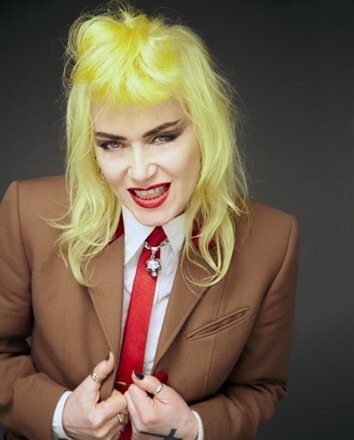 Once a support act for The Pogues and Debbie Harry, she has fronted bands performing a wide range of music; from rockabilly to punk. Pam had an overnight rise to fame. After her studies of Fine Art and Printed Textiles at the Glasgow School of Art, where she won numerous medals, she went on to study at the Royal College of Art in London, where she gained her Masters of Art degree. Self taught in making clothes from an early age, she caught the attention of clubland in the late seventies and early eighties which led to a career in fashion. Her creations were immediately embraced by the popular magazines of the time. She was photographed for ID, BLITZ and The Face and soon became a known fashion talent as London was named the innovative fashion capital of the world. Her first collections sold to Harrods, Harvey Nichols and Joseph in London, Bloomingdales, Bendels and Charivari in New York and independent boutiques in Paris, Italy and Tokyo. Pam’s first catwalk show was with the collective “Hyper Hyper” in 1985. Pam and her collections gained immediate press attention. 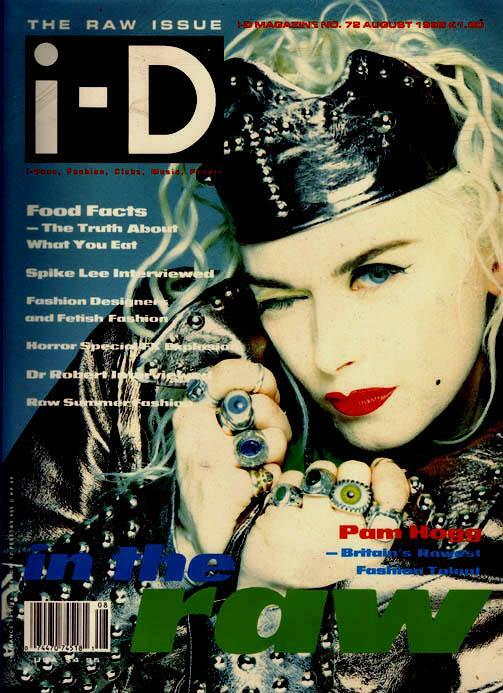 In 1989, “Warrior Queen”, her sixth and final group show won her the cover of ID magazine. She left Hyper Hyper that same year and relocated to a small self contained shop parallel to Carnaby Street in the heart of Soho. She continued to create, produce and direct her own London Fashion Week Catwalk Shows for a further six seasons. Her clients ranged from Debbie Harry and Siouxsie Sioux to Bijork, Kylie Minogue and Paula Yates. In 1991, Terry Wogan introduced her onto the show as “one of the most original, inventive, creative designers in Britain” adding, “She has reached what is called Cult Status”. In 1992 Pam quit fashion and returned to music. Her band Doll opened for Blondie in 1993 and the Raincoats in 1994. Between 1999 and 2001 her continued love of designing and making clothes resulted in two catwalk collections and her first Fashion Film “Accelerator” starring Anita Pallenberg, Bobby Gillespie, Patti Palladin and Pam herself. She also clinched cameo roles from Daryl Hanna, David Soul and Primal Scream towards the end of 2002, having found a voice in script writing and film directing. Inspired by Siouxsie Sioux’s Japanese concept, Pam designed the costumes for the Ice Queen of Punk’s 2004 world tour ‘Dreamshow’. In 2006, the Spanish curator Xavier Arakistain invited Pam to exhibit in the travelling art exhibition “Switch on the Power” alongside Yoko Ono, Warhol, Leigh Bowery and Kraftwerk. Pam also returned to directing fashion movies, which resulted in the videos ‘Opel Eyes’ and ‘Electricman’’. These were viewed by a whole new unexpected audience via youtube and myspace. 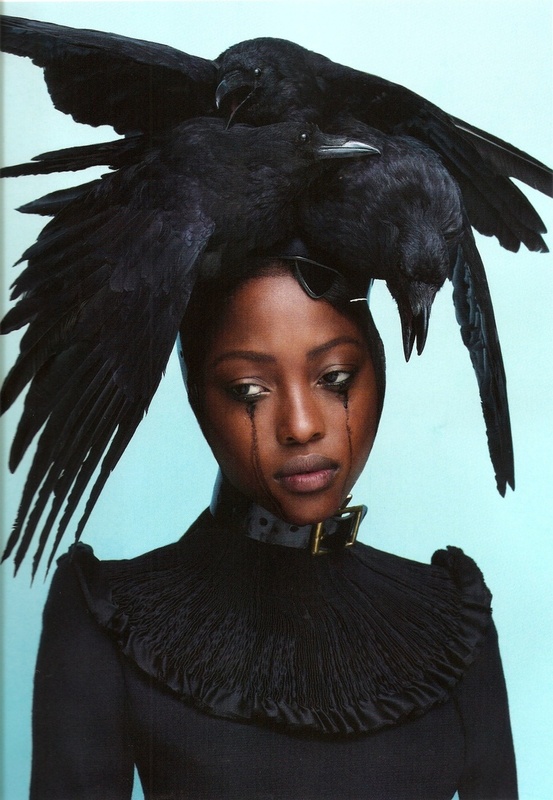 This direct access and exposure regenerated a new found interest in Pam’s work and pushed her back into the spotlight resulting in media attention from magazines including Vogue and ID. In 2007, Kylie Minogue appeared in Pam’s black mesh metal studded cat suit in her 2 Hearts Video, Naomi Campbell modelled a Pam Hogg lycra and snakeskin printed leather catsuit in Vogue while Siouxsie Sioux wore numerous distinctive Pam Hogg signature cat suits throughout her 2008 tour and appearance on Later with Joolz Holland. During the show, Pam was interviewed and announced her inevitable return to fashion. In October 2008, the prestigious Fashion store Browns of South Molton St London, was the first to stock the new Hogg-Couture collection. 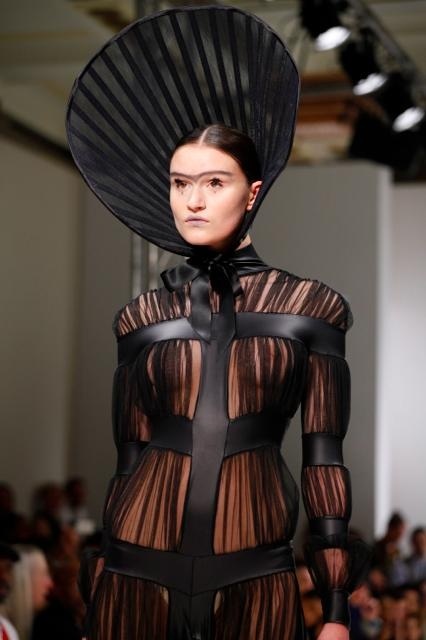 She was further asked to dress their widows for Halloween, an honour rarely given to one designer. Katie Grand’s new magazine LOVE, launched during London Fashion Week in February 2009 with a fashion feature over several pages styled by Joe McKenna solely featuring Pam’s new collection. 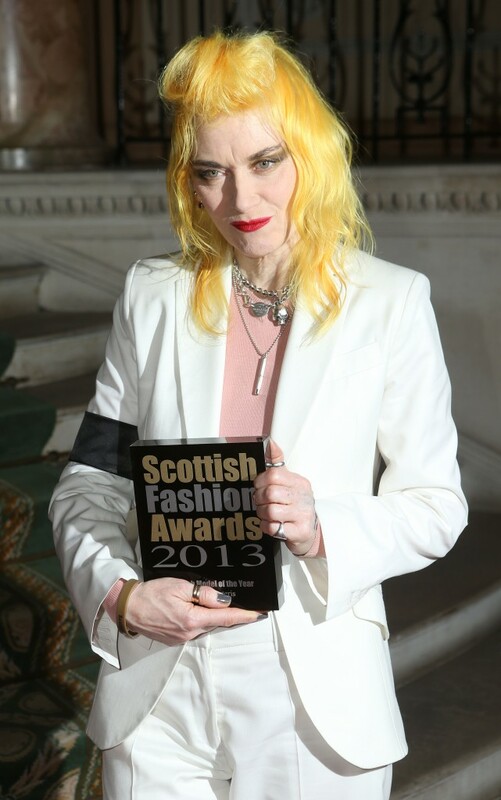 October 2013 Pam Hogg won an award for Creative Excellence by the Scottish Fashion Council. Great post, great designer, but that wedding dress was a mistake.